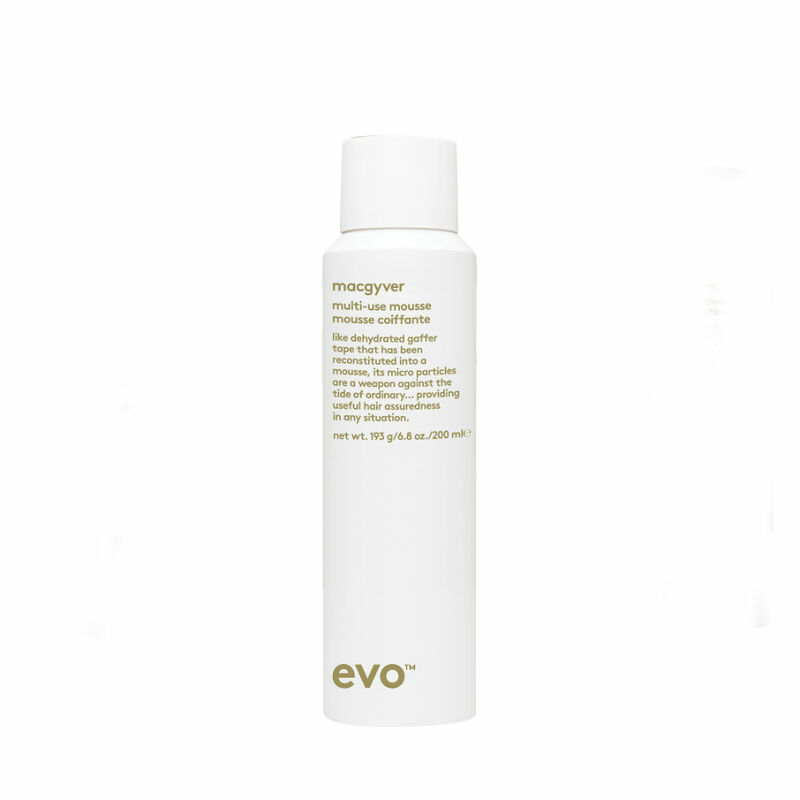 The Evo Macgyver Mousse can be used with, or without heat to create volume, texture or seperation. 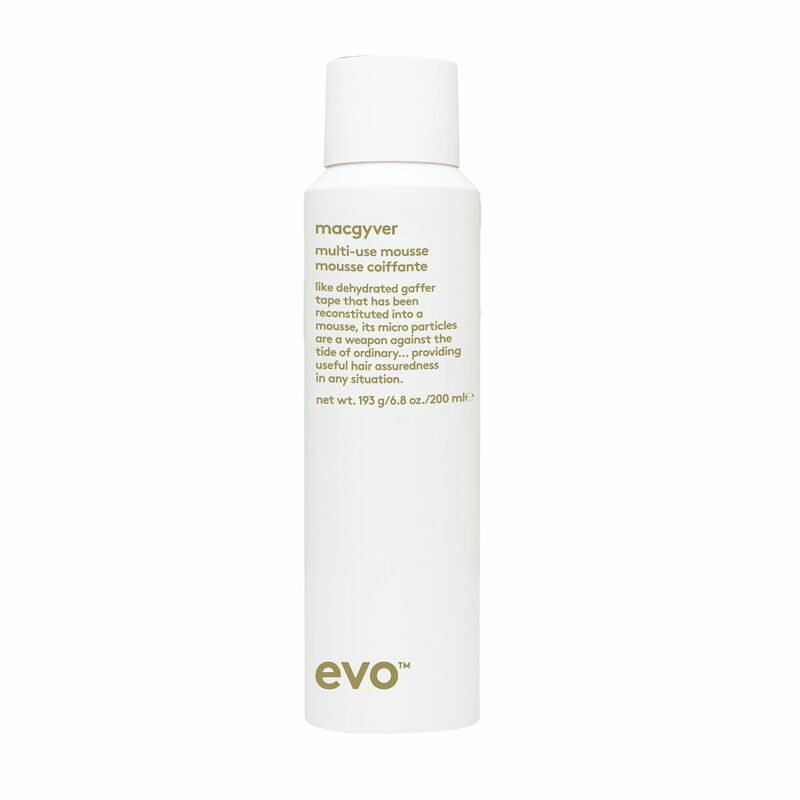 With a lasting hold, Macgyver is perfect for style control or just too oomph to your hair. The mousse is lightweight. Plus, it’s completely brushable which means soft, touchable hair around the clock. Directions: Shake well. Work through towel-dried hair. Air dry for definition and style control. Blow dry for texture, volume and hold. 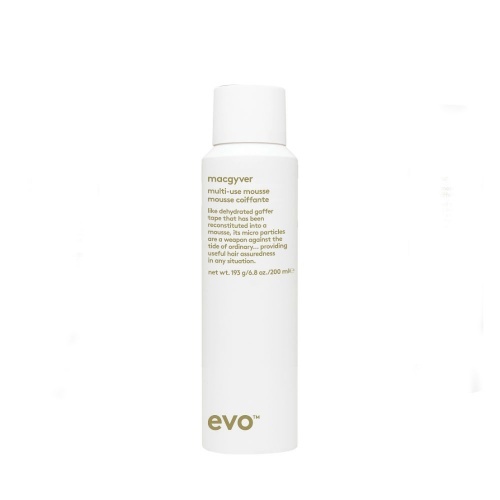 Reapply to dry hair for added texture and seperation.